Dairy Cottage is a converted milking parlour and once part of Tregonebris Old Farm, a set of 17th century grade two listed, granite buildings which provided shelter for over ninety head of cattle. The names of the milkers were still pinned to the mangers and dairy stalls when Simon and Penny began the conversion in 2008. 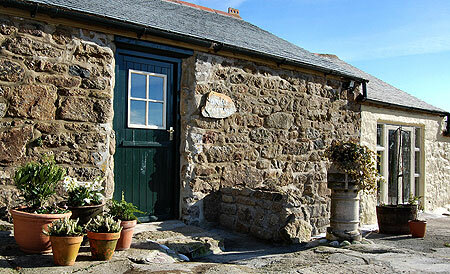 The Old Farm is now their home and they welcome all visitors to this hidden area of Cornwall. Situated only six miles from Lands End, Dairy Cottage is in the hamlet of Tregonebris, an ancient settlement of only a few houses. 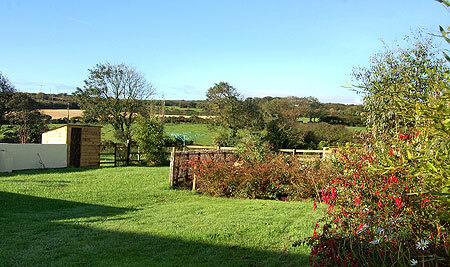 It is part of the parish of Sancreed and lies in the heart of protected countryside designated as an area of outstanding natural beauty. Across the road are unspoilt bluebell woods which form the head of the Lamorna Valley. The cottage is an ideal base for walkers and beach-lovers being so close to the south, west and north coasts of Cornwall. On higher ground, above the cottage is the Iron Age settlement of Carn Euny and below is the ancient stone circle of Boscawen-un. 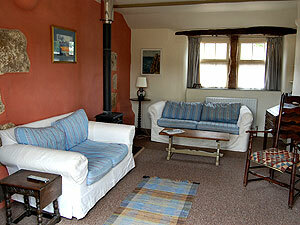 There is a comfortable lounge with large west-facing French windows opening out onto the courtyard and back field. It has a cosy wood burner for winter evenings, TV and DVD. The open plan kitchen/diner is fully equipped with ample crockery and cooking equipment. Wherever possible traditional materials such as old beams and slate have been incorporated into the building and it has been furnished in the farmhouse style. 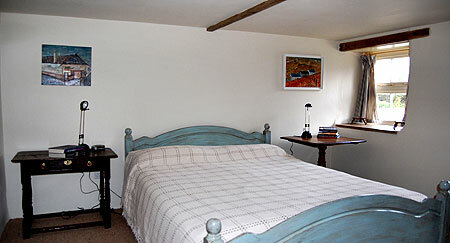 There is one double bedroom with king-sized bed and TV and a twin bedroom. The bathroom has bath and shower facilities. 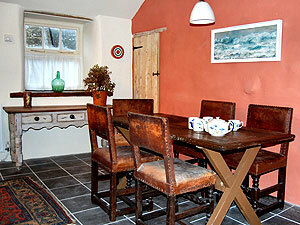 Dairy Cottage has full central heating, dishwasher, microwave and washing machine/dryer. Rates include electricity, heat, bed linen and towels but visitors are requested to bring their own beach towels. The rental is fully inclusive from 3pm on Saturday to 10am the following Saturday. Although towels are provided, please could you please bring your own beach towels. A travel cot is available on request and one small well-behaved dog is welcome.